Fairbanks is a town in the interior part of Alaska. It's about 1488 miles from the start of the Alaska Highway in Dawson Creek, BC and it's the second largest city in the state. 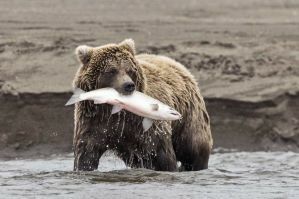 It's located at the intersection of several major highways and is a popular destination for many tourists to Alaska. Fairbanks has many of the standard amenities that you'd expect to find in any American town. There's a Walmart, a Home Depot, and several fast food joints. There are also a few hostels in the area that offer affordable accommodation for budget travelers. If you're hoping to meet other travelers and stay somewhere with a social atmosphere, then a hostel may be your best option. 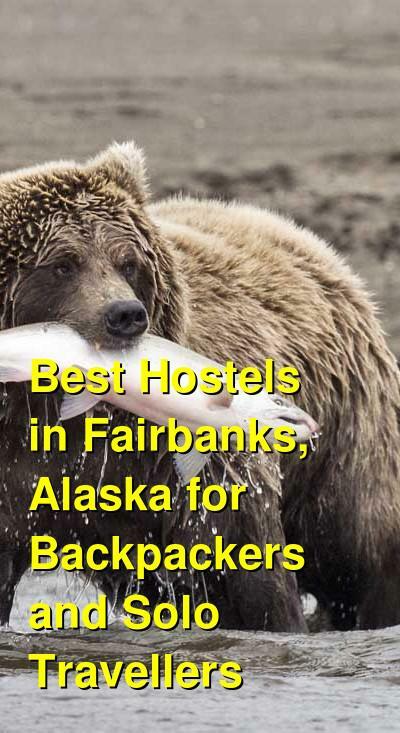 How much do hostels in Fairbanks cost? 9th Avenue Hostel is located just a few blocks from downtown Fairbanks. It makes a nice base for exploring the area and it has a very relaxed and welcoming atmosphere where it's easy to meet other guests. The hostel has several great common areas where guests can hang out. There's a television room that has satellite TV and a public computer. There's a sitting area with a game table, and there's a sun room, patio, and backyard. The hostel also has a full kitchen where many guests enjoy preparing meals together and having group dinners. The hostel also offers a wide range of amenities for guests. There's bicycles available for rent, free wi-fi throughout the hostel, space for luggage storage, and coffee and tea available throughout the day. The owner and manager is wonderful and helpful. He lives on-site and is available to answer any questions you might have. He helps ensure that the hostel atmosphere stays respectful and fun for all guests. This is truly one of the best places to stay in Fairbanks. A good hostel for students and backpackers. Billie's Backpackers Hostel is one of the original hostels in Fairbanks, Alaska. It's been around since 1991 and it is a family run hostel with a lot to offer guests. The hostel is open year around and it has a fun and relaxed environment. It attracts travelers from around the world and there is a diverse crowd of international and domestic travelers. Whether you're at the start or end of your Alaskan adventure, you're sure to appreciate everything that this hostel has to offer. The hostel has mostly dorm rooms that sleep four people. While most of the dorms are found in the main building, there's also a glass Gazebo dorm that's only available during the summer months. This room has no heating and can sleep up to six people. It's just a short walk from the main house. There are private rooms available for long term stay as well. The hostel has a variety of common areas available for guests. There's a kitchen which guests can use to prepare meals, there are dining areas, and common rooms where guests can relax. This hostel is conveniently located just a short walk from the University of Alaska's main campus. It's also near many shops, bars, restaurants and bike trails. The city bus stops nearby and there are shuttles that you can take from Fairbanks to Anchorage, Denali, Yukon, and the Arctic Circle/Prudhoe Bay. This hostel also offers the standard amenities such as free wi-fi, travel information, luggage storage, bicycle rental, and free parking if you have a car. Glacier House is another option in Fairbanks for budget travelers. It's open in the summer and the winter, so whether you're in town for the midnight sun or the aurora borealis, this is a reliable place to stay. The hostel is located on the east side of town and it is near shopping, restaurants, banks, and bars. You can walk to Chena River and there are hiking and biking trails nearby. The hostel has dorm style bunk beds that have comfortable mattresses and all of the linens you might need. Tent sites are available between May and August. There is also a common area and a full kitchen which guests can use. Laundry is available for $5 a load.